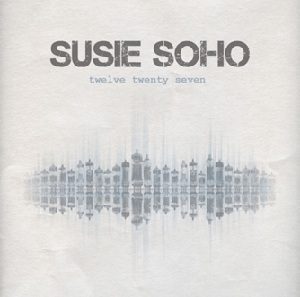 Susie Soho are a young Irish band. Featuring Jason Maher on bass, Niall Campion on guitar and Mia Fitzgerald on drums, Susie Soho was formed by singer and guitarist Tony Fitz in 2009. Describing themselves as "the kind of band you'd get if Dave Grohl and Gemma Hayes had some kind of musical lovechild", their catchy, guitar-driven songs blend a distinctively Irish sound with US-tinged alternative rock. The band made their live debut at Oxegen 2009; this was followed in 2010 with a Meteor Award nomination for Most Promising Artist and the release of their debut album, Where All The Ladders Start. This record was mixed by renowned Greek electro-acoustic composer and producer Anthony P. (aLfa.P, Stereo Nova, Supermarket) and mastered by Geoff Pesche at Abbey Road Studios (Gorillaz, Coldplay, Lily Allen). As well as playing Oxegen, they've opened for and shared the stage with artists such as Damien Rice, The Frames, Bell x1, and Damien Dempsey. "Stand up" is a strongly political song and was atually released as a single in the run up to the Irish elections. "Making taste" sounds to be an attack on critics and journalists who try and decide what is cool or trendy and what people should listen to. The whole EP is impressive - great Indie rock with an Irish feel to it. Although Indie rock isnt generally my thing, I did find this to be a very enjoyable listen.